Chakana Sky Alpacas is an Alpaca Farm located in Chester, Connecticut owned by William and Janet Bernhart. 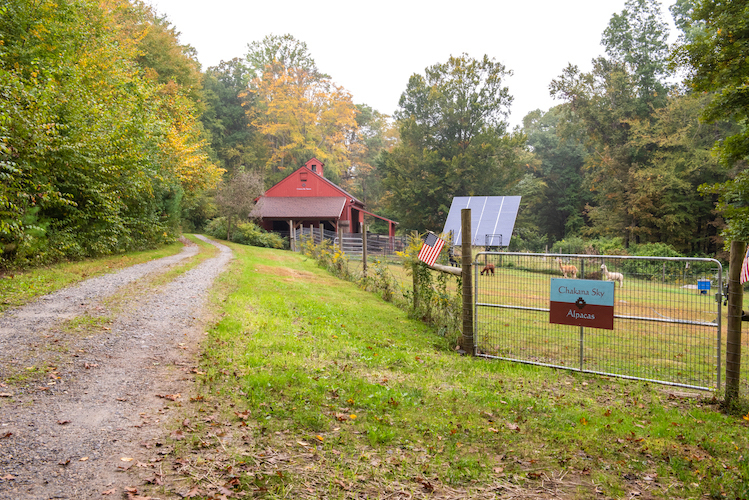 Come visit our farm in the charming little town fo Chester! Farm Visits and Farm Store Open by Appointment. Call 860-204-1646. This Spring we will continue the fun with Morning Yoga with the Alpacas, brought to you by the Inner Sol Yoga Studio team. Check out our Facebook page for more info. Also check out our Calendar of Events page in the More section. We will be adding local farmers markets, special events, holiday markets and open farm days. 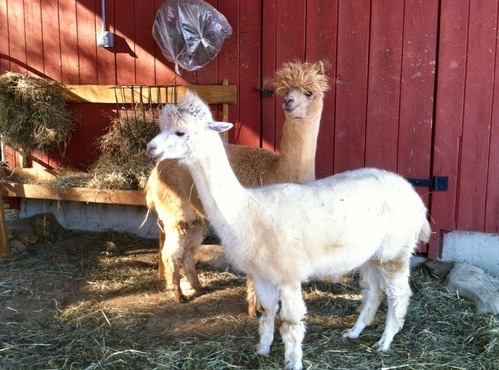 Chakana Sky Alpacas is a place for raising alpacas that honors the heritage of the indigenous peoples and animals of the Andean region, exists in harmony with our native land and its wildlife and provides sanctuary to those in need. The chakana cross has been interpreted by many as a symbol that maps the organizing principles and mythologies of ancient Incan culture. 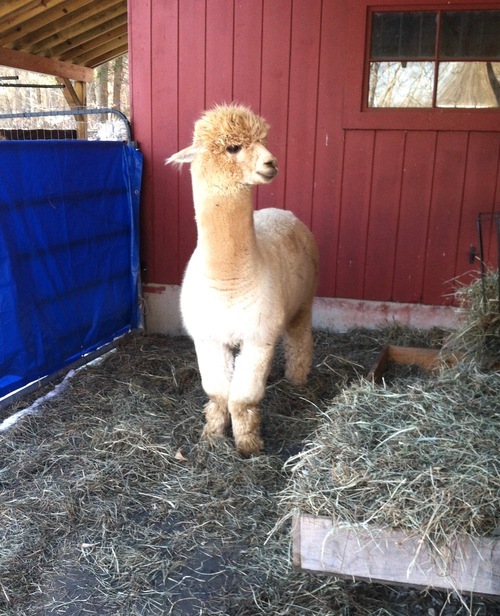 Alpacas and llamas were an essential part of this world. For this farm it is a simple symbol of balance and connection of all things over time. With this in mind, our name was born one crisp Autumn day in 2015, looking across our hillside farm to a hawk riding the wind across the serene blue and white sky. Chakana Sky is that feeling. 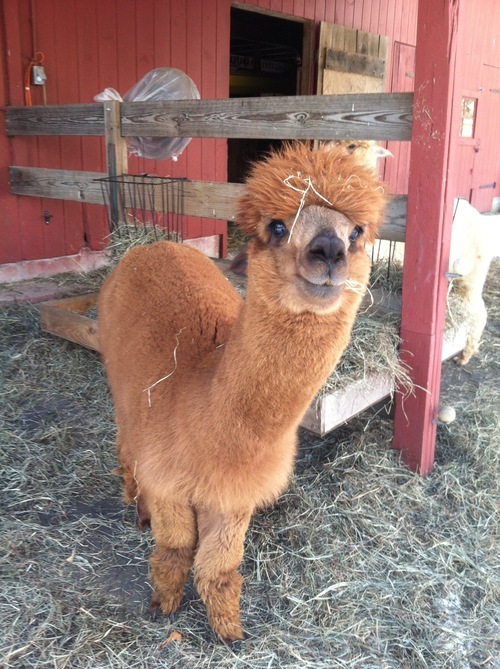 We are a small farm, committed to responsible breeding and care of our alpacas to provide exceptional animals, fiber products and services that meet the needs of our customers and friends. Come join us on our journey! Our farm started operations in 2016 with 3 fiber boys and 3 maiden females. We intend to grow the farm and maintain a herd of 12-15 huacaya alpacas, producing fiber, fiber products and animals for sale. Composted manure too! Unfortunately our breeding program has had a rough start. Atala lost her first cria in September 2016 1 day after birth. Angelina and Annie did not become pregnant or sustain pregnancy when first bred and again in 2016. Fall of 2017 we bred Atala successfully. We hope to breed Annie and Angelina late Spring 2018 for 2019 crias. So it goes. In April 2017 we re-homed 2 boys from Snow Angels Farm in VT which was closing. Both boys are solid with nice fiber. 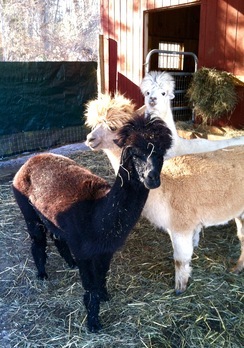 Tahoe and Wildfire are actively seeking the attention of the girls. We'll see what happens in June! Atala, bred to Sterling Knight of Alpacaboose Farm in Oxford, CT, gave birth to a precious little cria named Amber on August 14th! Born at 17 lbs., she has doubled her weight as of 9/5 and is a beautiful, healthy little girl that loves to run and learn stuff from her Mom and aunties Annie and Angelina.